Jason Ricci is one of the most popular harmonica players on the planet. He is the two-time, and reigning, Blues Music Award harp winner. Jason Ricci is one of the most popular harmonica players on the planet today. He is the two-time, and reigning, Blues Music Award winner for Best Harmonica Player. Through two plus decades of endless touring, TV appearances, recordings and the internet Jason Ricci’s style of playing is so revolutionary and influential that there exists an entire younger generation of players imitating his music, clothes, gear, and even stage presence. He’s performed on Johnny Winter’s Grammy award-winning CD ‘Step Back’, and was a featured performer when the Paul Butterfield Band was inducted into the Rock-n-Roll Hall of Fame. 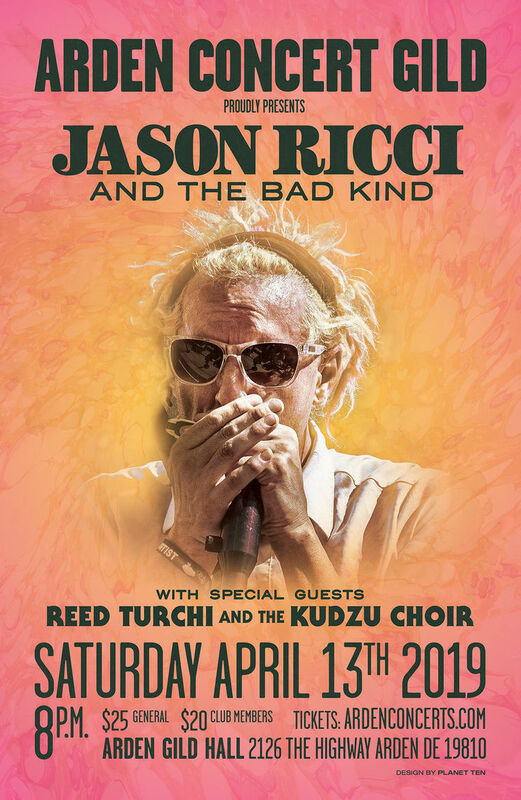 Reed Turchi & the Kudzu Choir will open.